How has President Obama done on science during his presidency so far? 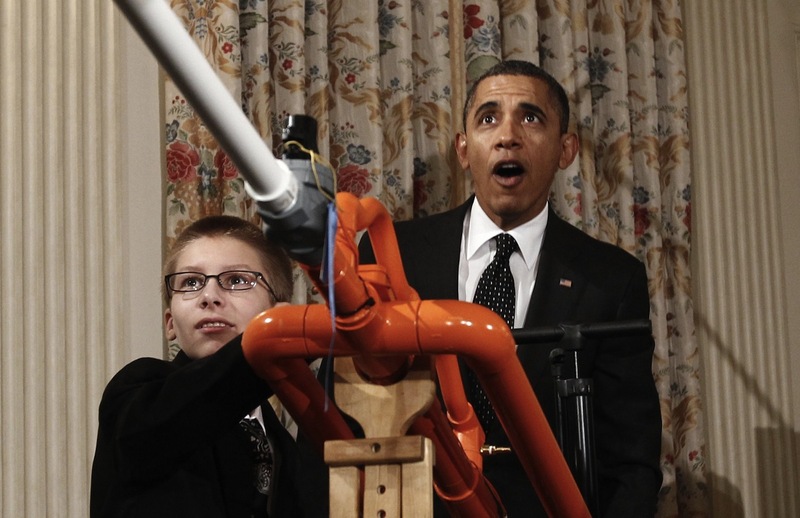 Obama has talked about science (most recently last night in the State of the Union address) and has held cool science fairs at the White House (see him watching a sciency kid shoot a marshmallow gun in the image). But, concretely beyond the marshmallow level, how has our President done on science over the last six or so years? Grading him on science could involve elements such as support for science funding, education, and more. Please grade him in the polls below (using the American A-F scale of grading) on science overall, on biomedical science, and on his presidency more generally. Arthritis Foundation Sell Out To Controversial Stem Cell Clinic Celltex?